Pumpkin seeds have a slightly sweet and somewhat nutty flavor. They can eaten raw, roasted, or toasted. They can enhance the flavor and elevate the nutritional value of homemade granola and a variety of baked goods, soups and many other sweet and savory dishes. The texture of the seeds have the ideal balance of chewy and crunchy that makes them a satisfying snack. Pumpkin seeds are native to the Americas. They are sometimes called pepitas. The word pepita reflect its connection to its heritage which is Mexico. Raw pumpkin seeds possess a variety of distinctive nutrition-related characteristics. Many nuts and seeds contain vitamin E. The differentiating feature these seeds offer is that they contain vitamin E in a variety of forms. In addition to that distinction, these seeds also contain phenolic antioxidants in diverse forms. Raw pumpkin seeds have long been revered for their nutritional value. They offer a diversity of antioxidants, boost immunity and are an excellent source of zinc and protein. With the vast array of health benefits raw pepitas offer, almost anyone can find health-related reasons to incorporate these tasty seeds into their diet. Days simply tend to go better when you are in a good mood. The L-tryptophan in these seeds can help improve you mood and prevent depression. It has been proven that sleep deprivation can adversely affect your health, your mood and your concentration. Studies suggest that eating raw pumpkin seeds a few hours before bedtime can improve your quality of sleep. Studies have also shown that these seeds have anticancer properties. They are a heart-healthy food. They are the only seeds that are alkaline-forming. Ingredients: Pepitas. Product of China or Mexico. The Pumpkin seeds were awesome. Definitely will order more. I love these seeds. Great price and received my order in 3 days. Will order again. I ordered these pumpkin seeds to add to a trail mix. The seeds were fresh and packed in a convenient ziplock bag. I will definitely reorder. Great fresh product. Half the price of @m@z0n. I have been making multiple recipe flavors with them and the favorite thus far is 1 pack of Ranch powder with 2 cups of seeds and 2 TBS of Butter for 15 minutes at 375°F. Add some Cayenne if the Wife will let you! If NutStop mountains the price we will be ordering again soon! Love pumpkin seeds, have always saved the seeds from the kids halloween pumpkins to roast. But the kids are gone now and this is so much easier for me to still get the goodness without all the mess. Thank you they are delicious as well as nutritious, and the price is so much better than the local store. Very fresh in taste and appearance. Recommend and will purchase again. I ordered and received the raw pumpkin seeds. Nice snack. Taste great. They are very filling. I will definitely be orderedibg again once we finish off this 25 pound bag!! These were good…tasted very fresh. Would definitely re-order these. Very good quality seeds, I ordered the 20lb case almost a year ago and they are still good today (stored in large ziploc bags). We use these to make our own home made dog food because they are such a good source of vitamins. We use them in soups and salads as well. These are some of the best pumpkin seeds out there! So delicious… my new healthy addiction that I can actually afford! Great on salads, in recipes and just plain. This is the first time, but not the last, that I purchased the pumpkin seeds. They are wonderful added to salads or eaten as a snack. The price was very good. These are good. Roasted them myself but I purchased the pre roasted this time around. Tasty, healthy snack, at a reasonable price. What more could you want? This seeds are quite good. Price is good and taste is as expected. Country of origin is listed as either Mexico or China, would have preferred to know exactly which country it was. I realize the majority of pumpkin seeds are produced in China, but still a bit leery of anything coming from there. These are sooooo good! I eat them as a snack with assorted nuts purchased from this site, and they are GREAT tossed in a salad with dried cherries & avocado. 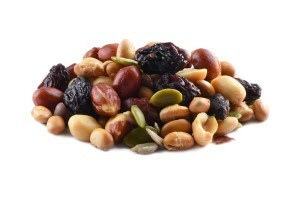 They are a really healthy and quick snack “on the go” that satisfy without the guilt. I will definitely be ordering them again! With fall within reach, I obviously had to stock up on pumpkin seeds for my salads and soups. These seeds are so tasty and for the price, they cannot be beat! Will be buying again! I loved these pumpkin seeds. I used to get some from Walmart until I switched to this website and I am very happy that I did because they make it super convenient to get balk orders. This is our second order of 25 lbs! They are fresh and delicious! We like to saute them with a cajun seasoning. Better than eating chips! Order these often for myself, my family and my birds as we all like them. Great price – great product! 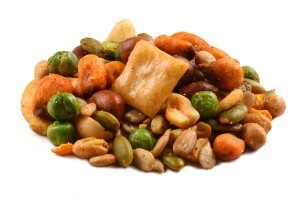 I mix them with raw nuts and add to my salads. Better tasting than the what I’ve gotten from local health stores and at a much better price too. great on salads for that extra crunch!! These pumpkin seeds are fresh and delicious, best seeds i ever had. They smell so good compared to rancid seeds bought in regular stores. i love pumpkin seeds. Very nicely packaged and it seems fresh. However, this pumpkin seeds come from Mexico or China which i didn’t know. I love these pumpkin seeds. I am grateful for the great price! They are a true bargain—I used to pay much more at my local grocery store, and they were not always in stock. I will continue to purchase them from Nutstop. Best pumpkin seeds ever! I had purchased in a store, but they were often out of stock. So I found online; easy ordering process and received right away. They are a daily staple in my yogurt/fruit parfait. Love them! Buy these almost every time I order, better than roasted n my birds love them too! I ordered the 20 lb. case and boy is that a lot of pepitas! But they are fresh and crisp and I just divided them up in rubbermaid containers and put them in the fridge. Buying the case saved me a lot of money even with the shipping. Very tasty when added to a salad. Very pleased with the products. Fresh and delicious! The pumpkinseeds and slivered almonds come quickly. Love the reclosable bags. Wish there was free shipping. Love these – and so do my birds! No sodium and a decent amount of protein. Hands down the best pepitas I’ve ever had. They are plump, not flat, and tasty. Great quality seed. Good tasty seed. I nibble on them as a snack. I like that they are shelled. Great price and very delicious! I love putting them in my cereal with Almond milk. Excellent. Good price. Taste fresh and good. Very nutritious, high in protein and fiber. Recommended. Really like the seeds, will for sure order more and try other products a well. Would recommend to others! Will be ordered often. I love them and they are so versatile. I use them in almost everything. I am addicted to these. Nutstop is the best online seller on the web. I HIGHLY recommend them. Fresh & tasty pumpkin seeds! Great! I eat these in just about everything. Oatmeal, yogurt, salads, and whatever else tickles my fancy. I highly recommend these, they are so very yummy! the best accident I ever had. The product was fresh and delivered on time . But best of all it’s half the price compared to the supermarkets….. What more can you ask for. As with everything i have had from Nutstop.com the Pepitas and milk chocolate bridge mix are just killer and very fast shipping,plus you can use pay pal the safe way to pay what with all the crooks out ther in cyber land.You can’t go wrong. I will mainly be using these for granola, but a few seem to jump into my mouth here and there ad I make it. So delicious and fresh. I do love the reclosable bags. I may throw some of these in my cereal too. Wonderful stuff! I am very pleased with the quality. I will continue ordering my pumpkin seeds from nutstop. Delicious. Packaging was heavy and resealable. 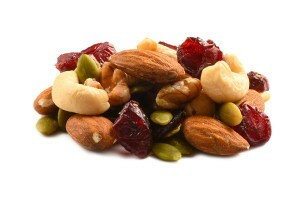 I ordered these along with a variety of nuts and dried fruits to make a mixture as a gift for my daughter in college. Everything is good quality and came in cute packaging. Very fresh and nice size. Pretty good quality seeds, great price, very clean, highly recommend to others.